This course is supported, in part, by an educational grant from 3M Oral Care Solutions. This course is recommended for Dentists and Assistants. This course will explore the advantages of preserving teeth that have had endodontic therapy but are compromised. There are so many benefits of maintaining root structure and placement of a foundation and subsequent crown. Understand the value of root preservations and restoration. To review methods of post and core placement. Learn to unify the restoration with a bonded ceramic crown. 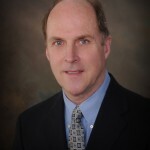 James M. Braun, DDS, MS, pursued the DDS program at the University of Michigan and after graduation he earned a Master’s degree in Prosthodontics from the same institution. Upon returning to his hometown of Saginaw, Michigan, he established a full-time private practice specializing in Prosthodontics, which has been in continuation for over 30 years. Staff appointments have included the University of Michigan School of Dentistry and hospitals in Ann Arbor and Saginaw, Michigan. For over 15 years, Dr. Braun has offered seminars at a great number of national and international meetings. Presentations have been made to over twenty ADA affiliated state dental associations, and have also included the ADA Annual Session, Greater New York Meeting, the Chicago Mid-Winter Meeting, and the Thomas Hinman Meeting. Besides his lecture series, he has conducted numerous hands-on workshops, webinars and published a variety of articles on esthetic restorative dentistry for journals and magazines. Several major dental manufacturing companies utilize his professional skills on a consultant basis for the development of new products. Dr. Braun continues to be selected by “Dentistry Today” as one of the top clinicians in dental continuing education. Dr. Braun is not associated with, employed by, nor consults for, any manufacturer, supplier, or retailer of dental instruments or materials.